Congratulations to Morgan Flanigan – Grand Prize Winner! and Alice Hauser – Winner of Historical Period Prize for Romantic Period! (Left to right) Morgan Flanigan, Elizabeth Landry, Alec Eames, Alice Hauser, and Quentin Wu. A native of Alfred, Maine, Ocy Downs left Maine to attend music school in Boston. In the late 1920’s she attended the legendary Fontainebleau summer program in France, organized by Nadia Boulanger. Her teachers included Boulanger, Robert Casadesus, Rudolf Ganz, and Isador Phillip. Her teaching career spanned more than seventy years, with most of these years spent in Portland, Maine. For forty-four years she lived in a one-room studio apartment at the former Libby Building, which is now the site of the Portland Art Museum. 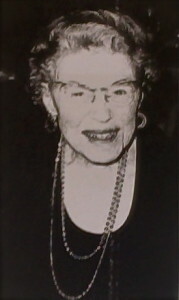 Always community-minded, Ocy Downs was a prominent member of the Portland Rossini Club, America’s oldest continuing musical club. 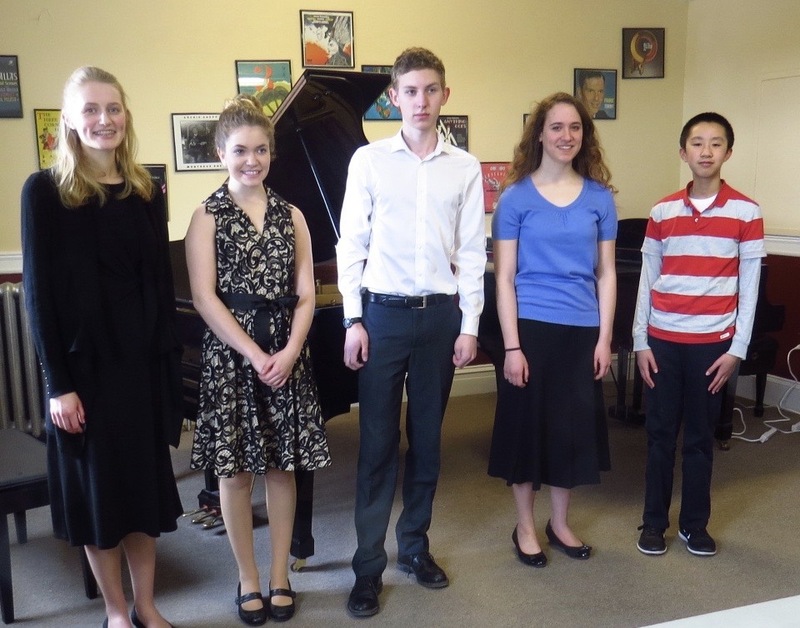 Founded in 1999, the year of her passing, the Ocy L. Downs Piano Prize encourages young talented pianists to aspire to lofty goals by performing from memory, before three distinguished jurors, significant works from the Baroque, Classical, Romantic and Impressionist/Modern/Contemporary eras. The Winner received a monetary award of $500 and an invitation to present a solo Noonday Concert in Portland, Maine. Special awards for exceptional performances in each of the five historical periods received a $50 prize. Applicants prepared one work from THREE of the five historical periods: Baroque, Classical, Romantic, Modern and Contemporary, two of which were performed from memory. 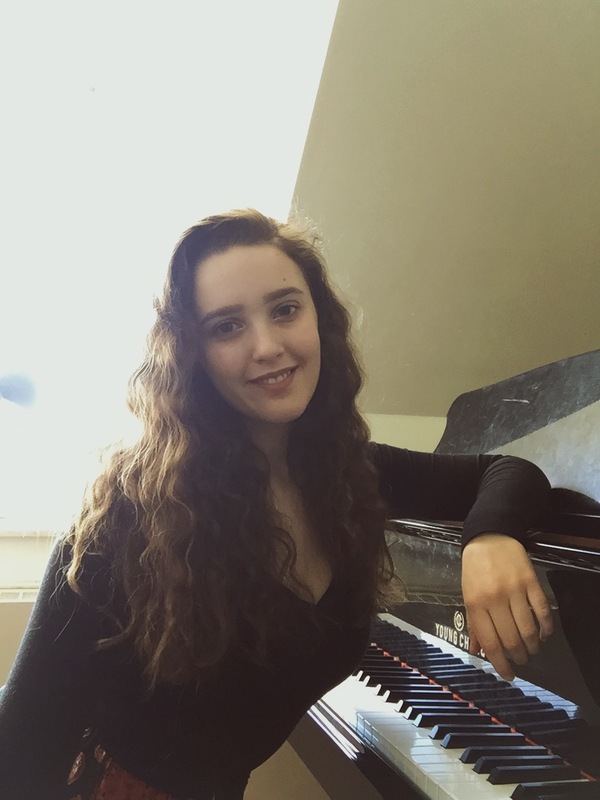 Alice Hauser, an upcoming junior at Kennebunk High School, currently studies piano with Naydene Bowder, and was the Division I winner of the 2016 Ocy L. Downs Piano Competition. She was also awarded the 2017 David A. Dionne Music Scholarship. 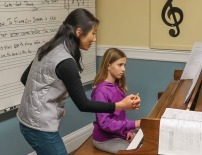 This summer, she will be studying piano at the Musicalta Rouffach Academy in Alsace, France. Alice was selected as the Kennebunk High School representative to attend the Hugh O’Brian Youth Leadership Conference. She also attended the 2016 Harvard Forum for Leadership Institute. She is a member of the Tri-M Music Honor Society, participates in Kennebunk High School Model UN and Mock Trial, and has performed in Maine’s All-State Choir and District I Honors Festival for the past two years. See Josie DePhilippo, Division II winner, below the Frank Glazer Award. With the first award presented in 2015, this award is given annually to an outstanding PCM piano student in honor of concert pianist Frank Glazer (1915-2015). 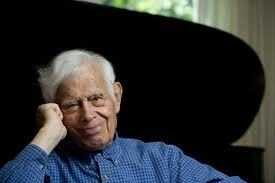 Learn more about his pianist in this short biography of Mr. Glazer. 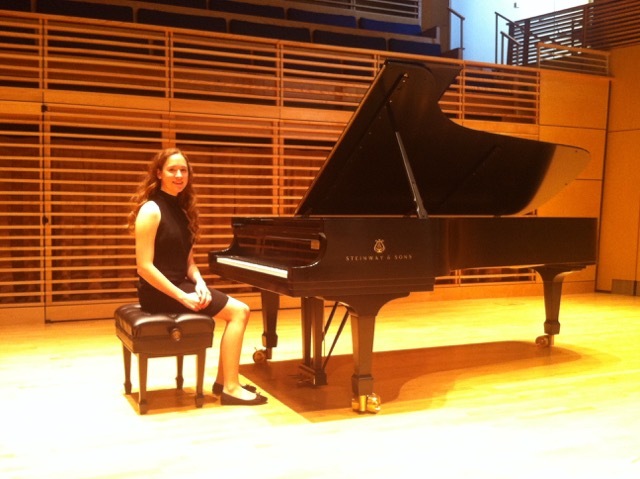 Josie DiPhilippo is now 19 and is majoring in Piano Performance at the University of Southern Maine. She is currently studying with Dr. Laura Kargul and previously studied with Naydene Bowder at the Portland Conservatory of Music. She has participated in master classes with Conrad Tao, Tamara Poddubnaya, Henry Kramer, Charles Floyd, and Daniel Shapiro. Josie is an intern with the Portland Symphony Orchestra and is working to coordinate and present programs for all ages. Honors include First Prize in the Ocy Downs Competition, First Prize in the Pine Tree Piano Competition, Winner of the USM Youth Ensemble Scholarship Competition, Second Prize in the Young Artist Piano Competition (MA), recipient of the Frank Glazer Award and recipient of the Kotzschmar Memorial Trust Scholarship. The Portland Conservatory of Music was founded in 1995. At that time, a small group of dedicated music teachers, parents and community volunteers had the vision to establish a community school of music that would increase access to quality music education in Southern Maine. At the heart of this founding stood Carol Eaton Elowe, as Founding Director. As the school grew, Carol continued to provide leadership and service to the school in her role as Chair of the Piano Department, Dean of Faculty, Noonday Artistic Director, and Interim Executive Director. At every turn she stepped forward to advance the mission of the school. Carol is currently a member of the Piano Faculty and the Board of Directors. The annual Carol Eaton Elowe Faculty Award, named for Carol Eaton Elowe, was established at the Portland Conservatory of Music in 2012, and provides an annual $500 prize to a Portland Conservatory of Music Faculty member who exemplifies Carol’s qualities of superior dedication to the mission of the school. The Portland Conservatory of Music proudly presents the Fourth Annual Carol Eaton Elowe Faculty Award to Chiharu Naruse for her superior dedication to her students and for furthering the overall mission of the Portland Conservatory of Music. Ms. Naruse holds a Masters Degree in Music Performance and a Masters Degree in Music Instruction from the Hochschule für Musik Hanns Eisler in Berlin, Germany. In Berlin, she studied piano under Klaus Bäßler and Lied Accompaniment under Wolfram Riegar. Naruse has performed throughout the world in recitals and piano competitions, including a piano concert to benefit Amnesty International in Germany, the Hyogo Piano Competition in Japan (silver prize), the Clara Haskil piano competition in Switzerland, the Pescara Academie Piano Competition in Italy and the International Mozart Wettbewerb in Salzburg Austria. In the spring of 2002, Naruse moved to the United States to study under Frank Glazer. Since her arrival, Naruse has given several recitals at Bates College and Bowdoin College. She has also collaborated with the Portland String Quartet, the DaPonte String Quartet and Frank Glazer. She has performed Beethoven’s Fifth Piano Concerto, Mozart’s Piano Concerto K466, and the Rachmaninoff Second Piano Concerto with the Augusta Symphony and toured with the Maine Pro Musica Ensemble under conductor Janna Hymes, performing Beethoven’s Piano Concerto No. 3. In addition, Naruse appeared as a featured artist at the Ocean Park Music Festival and the Franco-American Heritage Center. During the 2012-13 seasons Naruse performed all 10 of Beethoven’s Sonatas for violin and piano with violinist Dean Stein at Bates College. In 2014, Chiharu was invited to perform at the Parma Music Festival. Her solo performance was selected to be one of the tracks on a CD, released in June 2015, capturing the highlights from the three day long musical festival. This recording is now available on iTunes and Spotify. In addition to maintaining a regular performance schedule, Naruse is also a well-respected music teacher, chamber music coach, music competition adjudicator and accompanist, with many of her students receiving competition prizes. We heartily thank Chiharu Naruse for her supreme dedication to solid pedagogy, compassionate and honest mentoring, and for her efforts to further the cause of the Portland Conservatory of Music both within the school and throughout the state of Maine. This annual award was established in memory of Ruth Glazer, a musician, teacher, arts administrator, and the founder of PCM’s Noonday Concerts. Ruth was a woman who brimmed with ideas and possessed an indomitable spirit, determination and humor that made her (and those whom she conscripted to help her out) achieve the seemingly impossible. She began her career as a soprano and performed as soloist with the Boston Symphony, the Dallas Symphony, and numerous other orchestras. For her debut at Jordan Hall in 1946, she engaged a concert pianist, Frank Glazer, to accompany her. She and Frank married in 1952. Ruth taught at Vassar College and Bennett College and was then associate professor and concert manager at the Eastman School of Music where Frank was a professor. She served for two years as International President of the Association of College, University, and Community Arts Administrators. In addition to founding Noonday Concerts in Portland, Ruth also founded the Saco River Festival in Cornish, and was a member of the Maine Arts Commission. She received several awards for her contributions to the arts and education of young people in Maine. In all that she did, Ruth set the standards high, paid attention to detail, and lifted others with her energy and laughter. Open to all PCM students, the recipient of this award must exemplify the highest standards of musical excellence, as well as exceptional character and a capacity for leadership, following the fine example that Ruth Glazer set for us all. The Portland Conservatory of Music proudly presented the 2014 Ruth Glazer Scholarship Award to Marcos Edgar for exemplifying the highest standards of musical excellence, as well as exceptional character and a capacity for leadership as a young piano soloist, chamber musician, composer, and music scholar. Marcos was the recipient of numerous awards during the 2013-14 academic year, including First Prize in the Ocy L. Downs Piano Prize Competition, First Prize in the Marston-Kotzschmar Competition, the Bay Chamber Elsie Bixler Junior Prize, and first prize in the Junior Division of the MMTA Pine Tree Piano Competition. Marcos has been a member of the PCM Karger College Prep Division for several years.